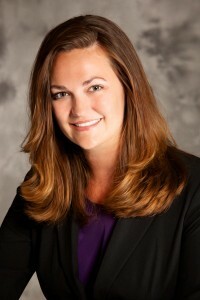 Top-ranked State Farm agent Courtney Morrow recently announced that she and her team have officially relocated to Templeton. A long time Central Coast resident and U.S. Army Veteran, Morrow is the first woman to serve as a State Farm agent in the North County in the past 8 years. According to an internal ranking system done by State Farm, it is calculated that Morrow is currently ranked in the top four percent of all new State Farm agents in the Western Market Area, (which spans seven states), and is within the top 14 percent of all new agents nationwide. “My team and I all live in North County and are extremely happy to be at our new location in Templeton!” Morrow said. Born and raised on the Central Coast, Morrow grew up riding horses, playing volleyball and water polo, and lifeguarding at local lakes, pools and beaches. She is a self described animal lover and horse enthusiast. Morrow attended Morro Bay High School, and earned her Bachelor’s Degree from University of Maryland University College, or UMUC. At 19, she joined the U.S. Army as a broadcast journalist and public affairs specialist with assignments in Japan and the Washington D.C. area, winning numerous awards for radio spot production, TV and radio news reporting. In 2004 she was voted Best American Forces Network DJ/ Personality in the Pacific “Stars and Stripes” newspaper. During her time in the Army she met her husband, Ryan, who was serving as an infantry Marine at Marine Barracks 8th and I, in Washington, D.C. Ryan, who was part of the elite Marine Body Bearers section, had the distinct honor of carrying President Gerald R. Ford’s casket for the State Funeral and Tribute at the National Cathedral. The day Courtney completed her Army enlistment is the same day she began her career with State Farm as an agent team member. Six years later she was chosen to replace a retiring agent in San Luis Obispo. When the opportunity arose for Courtney to relocate her office to Templeton, she jumped on it. Courtney and Ryan have lived in North County for six years, with their horse, donkey, goats, dogs, and cat. On Thanksgiving Day, 2014, they welcomed a baby boy to the family, Brock Thomas Morrow. Morrow’s Templeton office is located at 72 S. Main St., Ste. B. She can be reached by calling (805) 434-5933. For more information about Morrow or State Farm, go to statefarm.com/agent/US/CA/Templeton/Courtney-Morrow.